Estonia Wants to ICO, But Is Currency Law a Deal-Breaker? There’s a new party interested in initial coin offerings (ICOs): global governments. This time, though, they aren’t just out to warn citizens or regulate the new mechanism. Instead, at least one progressive government is considering whether it can take advantage of the technology. 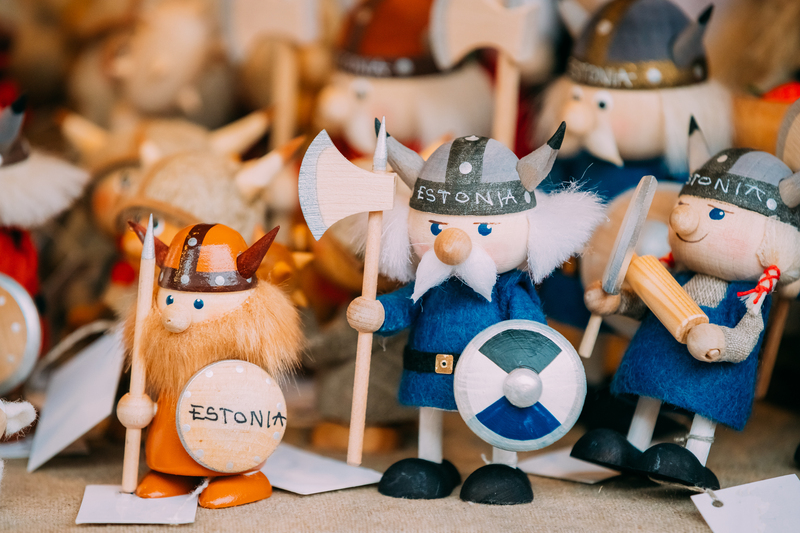 The Baltic nation of Estonia made a splash last month when one of its government agencies proposed launching a token – the “estcoin” – as an extension of its e-Residency program. As detailed in a blog post that quickly vent viral, the proceeds would be used to create a type of public-private sovereign wealth fund that would invest in Estonian digital infrastructure projects and technology startups. The idea, which is still very much in the ideation phase, won equal praise and derision, getting lambasted by European Central Bank president Mario Draghi. It’s a notable comment in that it underscores a strange disconnect: are these new cryptocurrency tokens actually currencies? While governments around the world are still in the process of deciding whether or not cryptocurrencies meet the definition of a currency – and many times that depends on just when and how they’re used – Draghi’s comments indicate some are lumping ICO tokens into the currency bucket already. But tokens have key differences from cryptocurrencies that might make them look even less like a currency. In Estonia, for example, the wealth fund seems more about giving Estonia’s 22,000 “e-residents” – foreigners who are allowed access to certain services and benefits normally enjoyed by Estonian citizens – a new way to engage with the country, than giving them a new method for transacting that could rival the the euro. In this way, the token – which earned the endorsement of ethereum founder Vitalik Buterin – would function as a vehicle for raising proceeds that’s more nuanced and targeted than traditional means: namely, governments issuing bonds in international capital markets. But there were a couple paragraphs in the blog post that likely raised red flags with Draghi, and will raise flags with other Eurozone regulators. Those paragraphs have Estonia envisioning a future where the estcoins could potentially be used as a medium of exchange for goods and services both in and outside the country. Either way, it seems Estonia might be putting the cart before the horse. Because not only did Estonia forfeit its right to issue its own currency and control its monetary policy in 2011 when it joined the Eurozone, but with that it also relinquished its ability to raise money in anything other than the euro. “If you sign up to the Eurozone, you sign up to the euro. Your financing is in euros,” said Daniel Heller, a research fellow at the Peterson Institute for International Economics and a former executive at the Swiss National Bank and the Bank of International Settlements. These statements are what make Estonia’s public ideation that much more confounding, especially since the project sounds similar to Italy and Greece’s efforts to create so-called “parallel” fiat currencies that could be used domestically alongside the euro. Both proposals have been met with red lights from European authorities. “There are no exceptions to this rule,” a European Commission spokesperson, referencing the euro-only mandate, told Reuters in August after it slammed the door on Italy’s parallel currency proposal. While many government regulators have made recommendations, if not formal decrees, for how cryptocurrency should be regulated in certain situations, there isn’t a more homogenous way of categorizing them as you typically see in more traditional markets. While many have argued this diversity of opinion inserts roadblocks to the global tool’s use, that hasn’t stopped cryptocurrency’s upward trend in price (arguably one of the main mechanisms used to determine cryptocurrency’s success). Similarly governments have begun forming mixed opinions on ICOs – everything from all out bans in China to accommodation in Quebec. But one thing seems certain: some of these tokens will be labeled as securities. While some worry about the impact of these regulatory declarations, the industry, for the most part, has continued with business as usual. Business as usual, that is, except with companies and developers trying to position their tokens so as not to be classified as a security by saying instead that they’re utility or app tokens – though those definitions remain a structural and legal gray area, as well. It’s unclear, at this point in its ideation phase, how the estcoins project plans on defining its token, but it’s currently soliciting feedback from stakeholders and potential participants. In his blog post proposing the estcoins idea, Korjus did not discuss how the token might co-exist vis-a-vis Estonia’s obligations to the euro, an omission that caught the attention of several observers. And Castaignet did not respond to follow-up questions about the topic. While Draghi’s remarks left no room for ambiguity about estcoin’s viability as a state-backed digital currency, the ECB’s Ehrlich didn’t rule out the proposal entirely. Instead, he suggested that, because the project would be undertaken via a public-private partnership, it would be outside of the ECB’s jurisdiction. “[M]y understanding is that it’s a private idea and no official position. The ECB will not comment on ideas brought forward by the private sector,” he told CoinDesk. Therefore, with the right combination of messaging and legal sleight of hand, the project might just pass muster with European technocrats. Heller reckoned that for the project to have a chance, it would need to as a bond-like financial instrument that is neither an official currency nor a traditional bond.